How much does Harmony Brokers charge to sell my home? Our business model is a total commission of 3.5% of the sale price of your home. How is the commission fee broken down? The agent that brings us the buyers of your home will receive 2.5% and Harmony Brokers receives 1% of the total sale price. How much do other Brokers charge? Most Northern Colorado Agencies charge 6 – 8%. How much can I save using Harmony Brokers? If your home sells for $300000 a traditional Real Estate Agency would charge you $18000 in commission vs. using Harmony Brokers would charge you $10500. That is a $7500 savings! What is included in the 3.5% commission?  Harmony Brokers will complete all the forms required by the state of Colorado. We will schedule all of the showings, negotiate the contract from the buyer’s agent, work with the title company and make sure everything runs smoothly. We also schedule showings, host open houses and take care of all of the marketing. Do I pay anything out of pocket to sell my home? Harmony Brokers does not charge you anything additional to sell your home. Any repairs that need to be made (per an agreed contract) would however be your responsibility. Do I get the same exposure that I would using a full priced agent? Absolutely, we pride ourselves on being able to offer you everything you would get from a traditional full service brokers and more. Most homes we list sell in a few days and have multiple contracts offered on them. What does Harmony Brokers do to market my home? We will take photo’s of the home to put on the MLS. This also puts you on Zillow, Redfin, Trulia etc and other companies that have feeds from the MLS. We will put a sign in your yard , host open houses and whatever other means necessary to get your house sold quick and for top dollar. Do I need to setup my showings and take calls from prospective buyers? Absolutely not. Harmony Brokers handles all of this for you. We also follow up with agents for feedback. Who handles the offers, contract and paperwork? Harmony Brokers handles all aspects of this and uses an online system that allows you to sign most documents online. Will some buyer’s agents not show my home since they get paid slightly less? We all take an oath to protect the fiduciary responsibility of our clients. It is unethical for agents not to show properties that their buyer wants to see. We only have a home to sell and are moving out of State, do I need to purchase through you in order to qualify for discount? No. And why are you leaving beautiful Colorado? You must be heartbroken. I want to try and sell my home by myself, what do you think? Harmony Brokers will add your home to our website under the FSBO tab. Unfortunately, we cannot do any of the paperwork or put you on the MLS for you.